Majlis Amanah Rakyat (MARA), an agency under the Ministry of Rural Development, in its constant quest for quality and excellence in Technical and Vocational Education and Training (TVET) and to be internationally recognized TVET agency, submitted one of their leading TVET institutions to undergo Asia Pacific Accreditation and Certification Commission (APACC) accreditation. 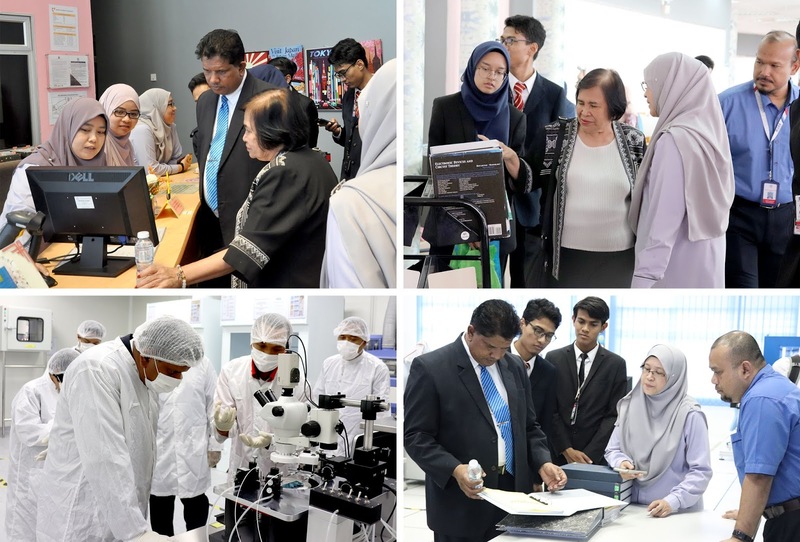 MARA Japan Industrial Institute (MJII), located at Beranang, Selangor, Malaysia, was the first ever institution under MARA visited by APACC held from October 24 – 26, 2018. The 3-day accreditation activity was headed by the Team Leader Dr. H. Chithral Ambawatte, Senior Lecturer of University of Ruhuna, Sri Lanka, while Engr. Marjorie Mendenilla, Head of Academic Affairs of MFI Polytechnic Inc., Philippines, acted as the team member and Ms. Julifer Madeja as APACC support staff. Before embarking into institutional evaluation of MJII, the APACC Team was invited to visit the MARA Headquarters in Kuala Lumpur, Malaysia on October 23, 2018 for a brief orientation. The APACC Team pays courtesy visit to MARA Director General. 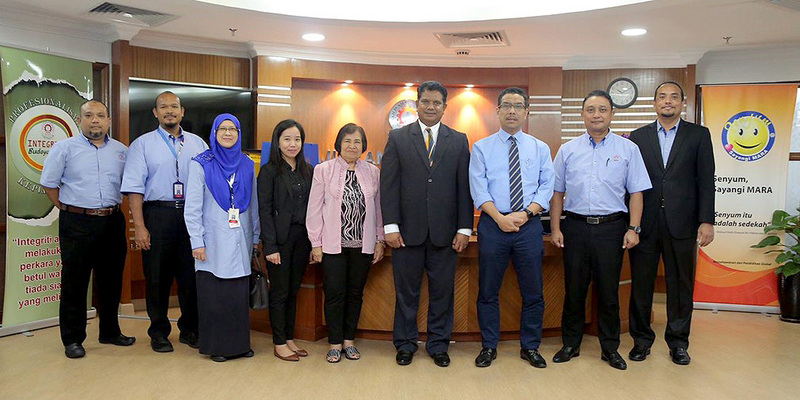 From L-R. Mohd Nizam Bin Ali, Deputy Director II (Strategic Planning & Research of TVET MARA), Azmin Bin Ariffin, Deputy Director I (Education of TVET MARA), Hajan Zarinah Binti Idrus, Director (MJII), Ms. Julifer Madeja, APACC Support Staff, Engr. Marjorie Mendenilla, APACC Team Member, Dr. H. Chithral Ambawatte, APACC Team Leader, YBhg. Dato’ Azhar bin Abdul Manaf, Director General (MARA), YBhg. Dato’ Zulfikri Bin Osman, Deputy Director-General (Entrepreneurship of MARA) and Mr. Mahzan Bin Teh, Director (MARA Technical and Vocational Division). The briefing was conducted by Mr. Mahzan Bin Teh, Director of MARA Technical and Vocational Division, where he focused on explaining the MARA organization and Education Framework. Currently, MARA has a total of 343 education centres in the country, including MJII, and a total of 114,016 students admitted. On October 24, 2018, MJII on-site visit proper started. The MJII Director Dr. Zarinah Binti Indrus, presented their accomplishments in the field of electronic engineering. The on-site visit activity was fully supported by the teaching and non-teaching staff, and students of MJII with the active cooperation of MARA TVET Officials led by Mr. Azmin Bin Ariffin, Deputy Director I, Education of TVET MARA and Mr. Mohd Nizam Bin Ali, Deputy Director II, Strategic Planning & Research of TVET MARA. MJII was established in June 2008 with a total land area of 22 acres. The institution aims to shape a holistic TVET human capital with entrepreneurial values. It envisions to be an outstanding and trustworthy organization in upholding the nation’s pride. The accreditation team went around the school campus to check and validate their claims based on the submitted Self-Study Report. MJII was assessed against the following APACC Accreditation Criteria: (1) Governance and Management, (2) Teaching and Learning, (3) Human Resources, (4) Research and Development, (5) Image and Sustainability, (6) Other Resources, and (7) Support to Students. During the exit meeting, the team leader Dr. H. Chithral Ambawatte, presented the highlights of the on-site visit, including the qualitative results detailing the commendations, affirmations, and recommendations. 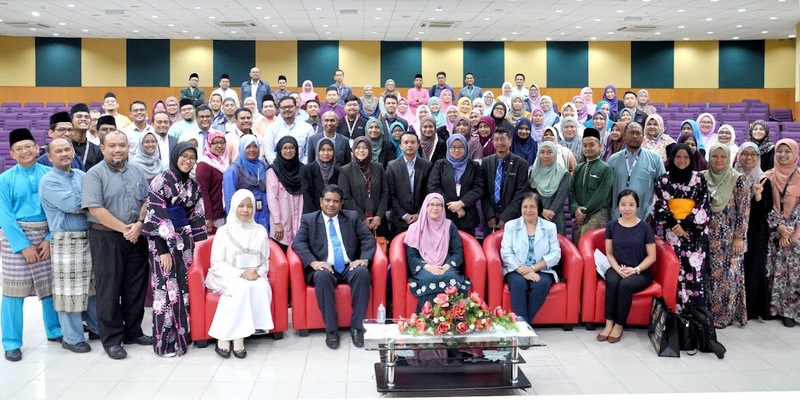 The National Coordinator for Accreditation in Malaysia and Director, Curriculum Development Division of Department of Polytechnic and Community College Education (DPCCE), Ministry of Education, Malaysia Pn. Noor Aidi Binti Nadzri was also present to show support to MJII management. Results of the on-site visit activity will be communicated to MJII after the deliberation of the APACC Board.